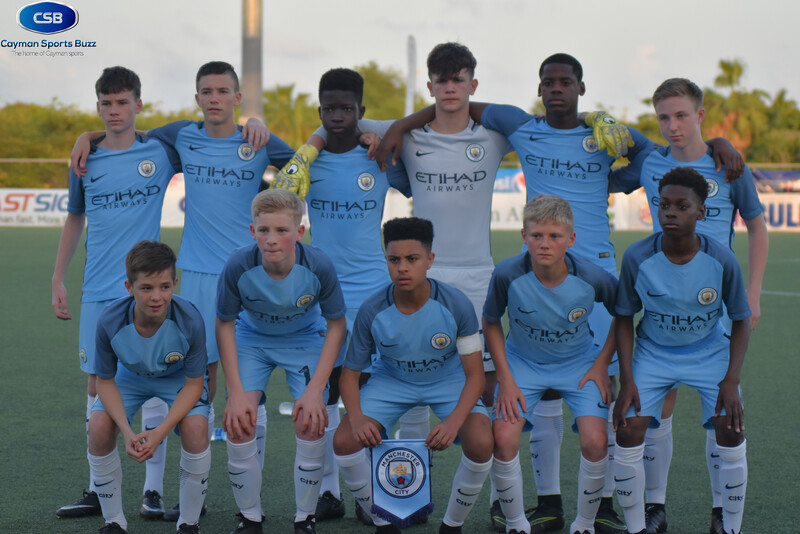 Manchester City topped a highly-competitive Group B.
Manchester City and the Cuba Federation booked their spots in the semifinals with wins in their last group stage matches of the 2017 Cayman Airways Invitational U15 Youth Football Cup on Thursday (4 May), while the Cayman Islands National U15 Team and Harbour View FC won by wide margins in shutouts. 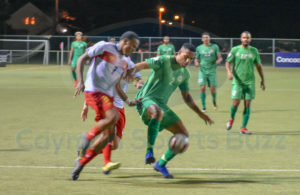 Cuba beat La Ceiba F.C. 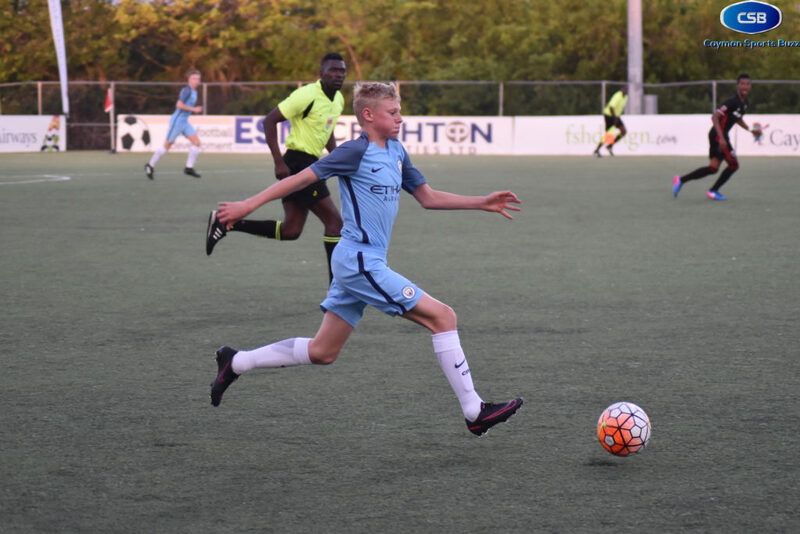 (Honduras) to top Group C, which was played in Cayman Brac, and Manchester City moved to an unassailable seven points in Group B from two wins and a draw. Cuba awaits the winner of Group A in the first semifinal, while Manchester City will face the best 2nd place team in the other semi-final. 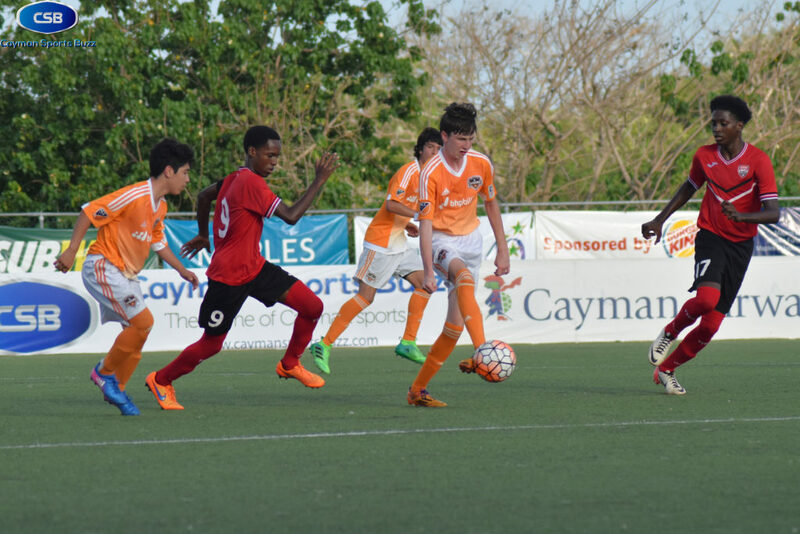 Although those berths are secured, there’s still much to play for in Group A, with three of the four teams (Cavaliers Soccer Club, IMG Academy, and Cayman Islands) still in contention for the automatic berth going into the final day of the preliminary round. It was a competitive match. Zacharey Welch had a brilliant goal. 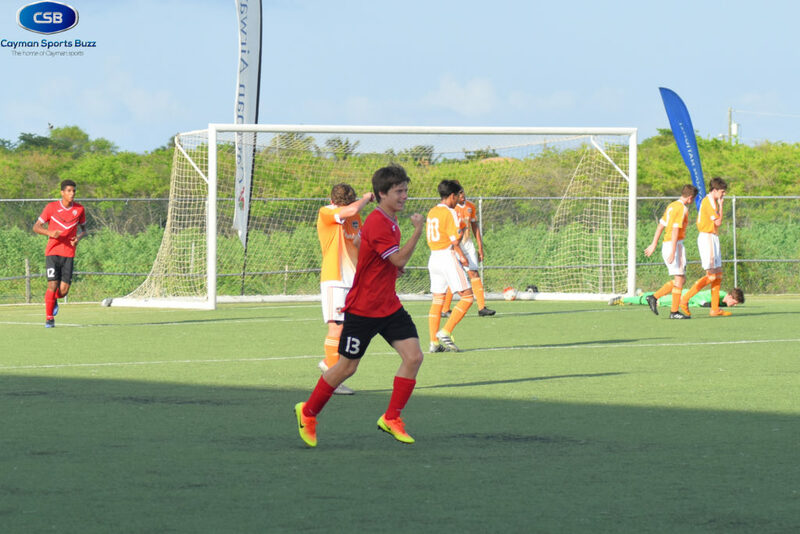 Trinidad and Tobago took the lead in the 19th minute when Zachery Welch scored off a free kick from about 30 yards out on the left wing, looping the ball to the far post and beating Matthew Byrne in the Houston goal. The sides shared possession and the half ended with Trinidad and Tobago holding a 1-0 lead. More of the same followed in the second frame. 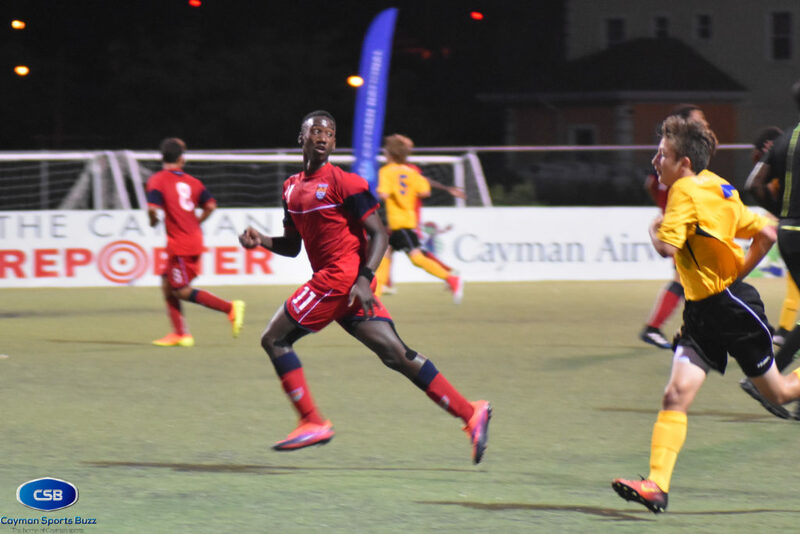 Showing good form in the tournament, Trinidad and Tobago midfielder Jean Heim McFee created chances, including a shot in the 42nd that beat the keeper and hit the post to be denied. Houston’s Phillip Lupp had a chance to get his team on the board in the 56th minute but missed the mark from close range. 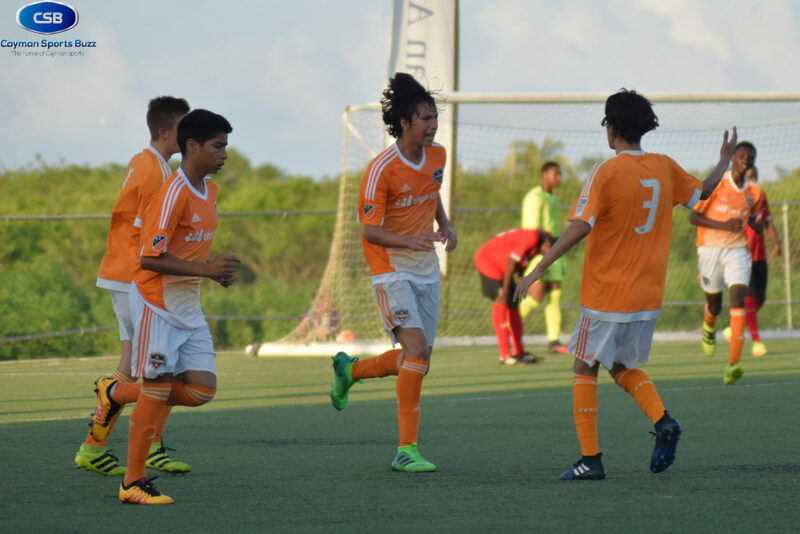 The equaliser came in the 60th minute, when Ulyses Jaimes found the back of the net. Eager for the win, Houston kept pressing and got the go-ahead goal four minutes later thanks to Jake Crath. Jaimes added another in stoppage time to complete the 3-1 come from behind win for Houston. Kane Ritchie Hosler (11) played well as a sub. 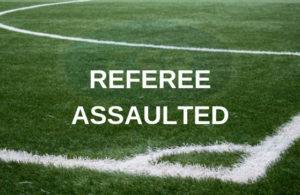 The game saw the teams work the spaces to move the ball across the pitch but the scoresheet went unmarked until two minutes before the interval when O’Neil Alli scored for Manchester City. 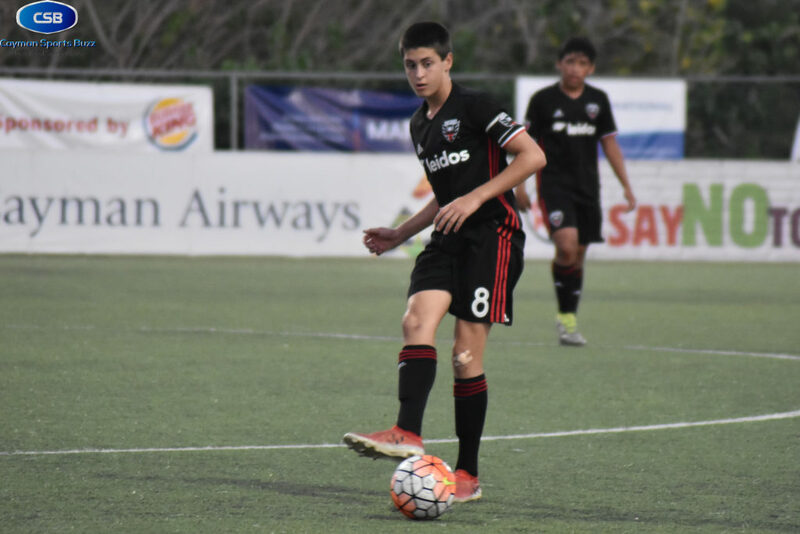 D.C. United created chances for an equaliser but nothing came of it, with Cieran Slicker coming up big between the pipes for Manchester City with a stop in the 46th minute. 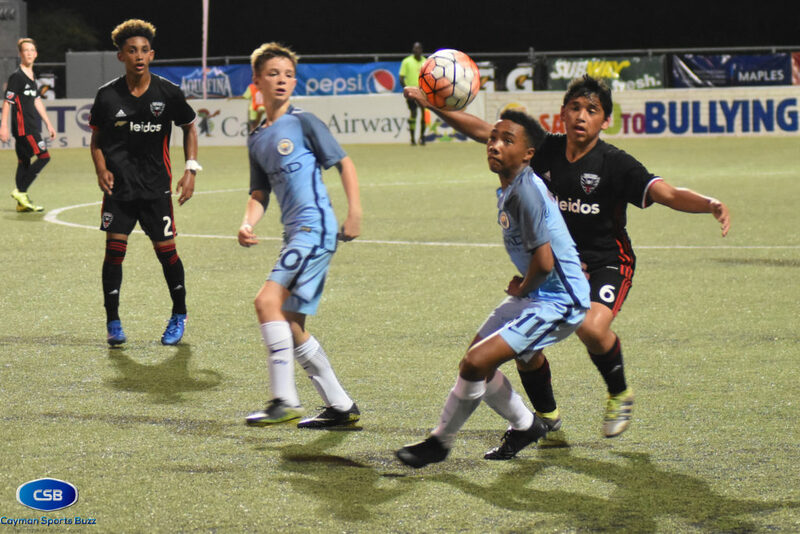 Not content with a one-goal advantage, City pressured the D.C. defense, with impressive play on the wing from substitute Kane Ritchie Hosler but in the end, the first half goal was all that was needed. Manchester City, which won the tournament last year, advanced to the semi-finals after building an unassailable lead atop a highly-competitive Group B.
Gunnar Studenhofft (9) scored a brace. Jahmai Griffiths (5) celebrates his goal. 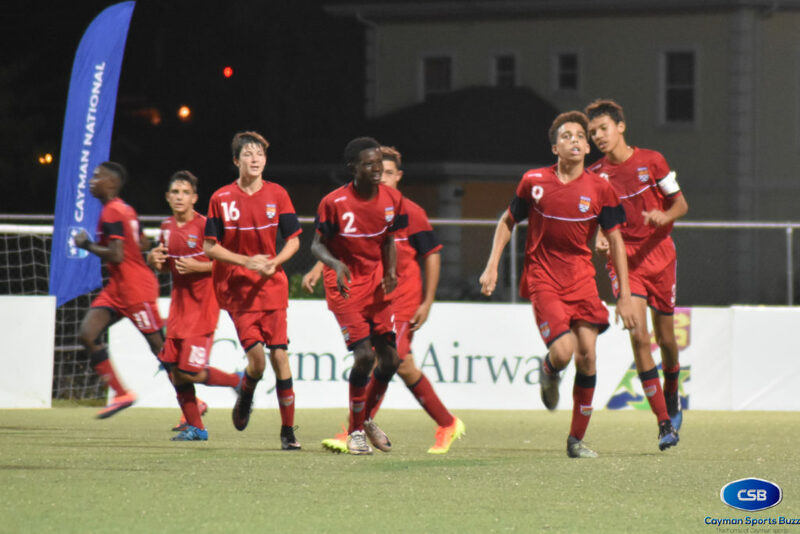 Looking to bounce back from an opening loss, the Cayman Islands National U15 Team wanted to give home fans something to cheer about. Striker Gunnar Studenhofft wasted little time and attacked the goal early, finding the back of the net in the 3rd minute. Studenhofft got another in the 34th minute but the hosts wanted more and they’d get what they were looking for after the interval. Corey Smith, who missed a chance earlier, made good as he pushed the ball up the left wing, created space and found a streaking Jamai Griffiths who flew down the right wing and hit his shot low and hard into the back of the net. An Alchemy own-goal widened the lead to 4-0. Substitutes David Pitcairn and Victor Thompson Jr also scored in the 6-0 win. Despite the score line, credit must be given to Alchemy keeper Max Twight, who made a few saves to deny the hosts from winning by a wider margin. 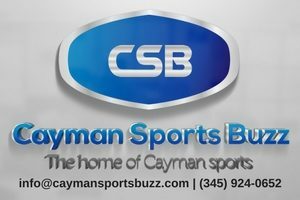 In a match-up to determine the winner of Group C, which was played in Cayman Brac, Cuba held a 2-0 lead at the half and jumped to a 3-0 lead early in the second before La Ceiba scored twice within 14 minutes to pull even. 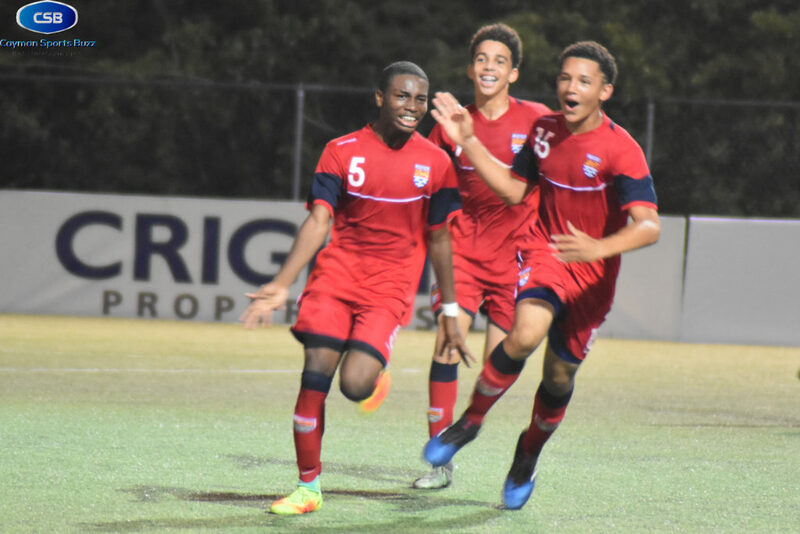 With an automatic berth in the semi-finals on the line, Cuba emerged victorious thanks to a Jonathan Ferreras goal in the 68th. Cuba moves on to the knock out stage, where they await the winner from Group A.